It’s been such a joy to get to know Garrett & Kelli! We first met them for a double-date over coffee to hear all about how their relationship started. And then had so much fun photographing them and their cute fur babies for their engagement session in College Station. 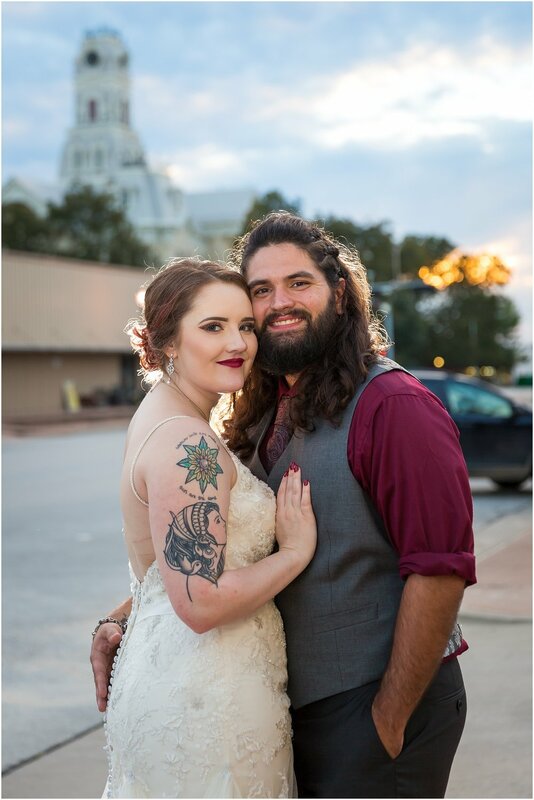 So of course their wedding day was filled with joy, sweet moments and fun times! 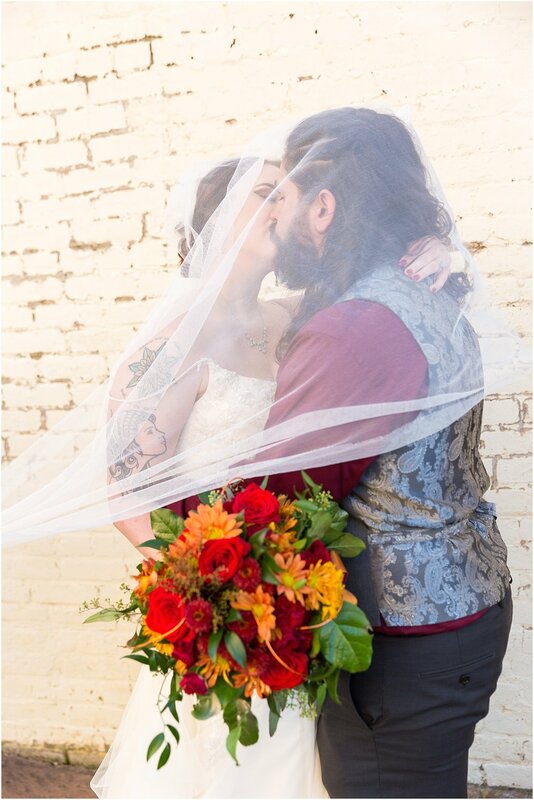 These Sweethearts planned the perfect October wedding, with a more traditional Catholic ceremony followed by a reception at The Eagle Historic Warehouse in Hillsboro. For their ceremony decor, they allowed the beauty of the sanctuary to set the stage, with beautiful afternoon light shining through the stained-glass windows. The Warehouse was transformed into a moody, Great Gatsby vibe, with rich maroon linens, golden table settings, and dark lanterns that reminded you of Gatsby and Daisy. There were so many details that Garrett & Kelli chose to make their wedding day reflect their love story and style. The bridesmaids dresses were gorgeous with their intricate detailing. The groomsmen looked dashing in their charcoal suits. The Sweethearts chose Italian for their dinner menu, and guests feasted on chicken parmigiana and linguine with clams. Instead of a traditional bride and groom’s cake, they chose cheesecake shooters, chocolate covered strawberries, and cannolis. 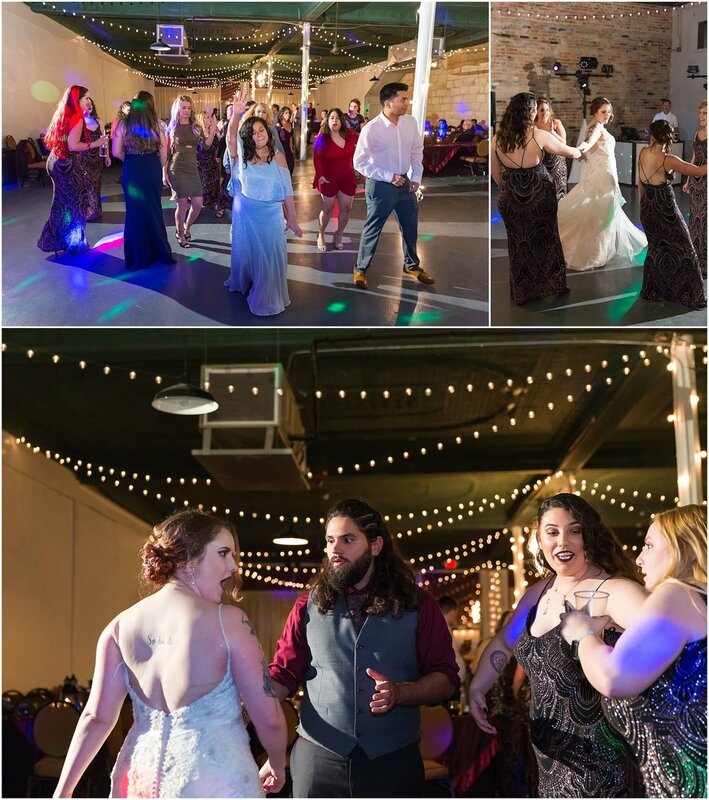 And knowing what a fun and photogenic bunch they had in their bridal party, Garrett & Kelli rented beautiful antique furniture from Rent My Dust for a sitting lounge and photo area during the reception. And they definitely put it to good use! But while all the decor and planning details came together perfectly, what really stands out from Garrett & Kelli’s wedding day are the little moments full of meaning and emotion. 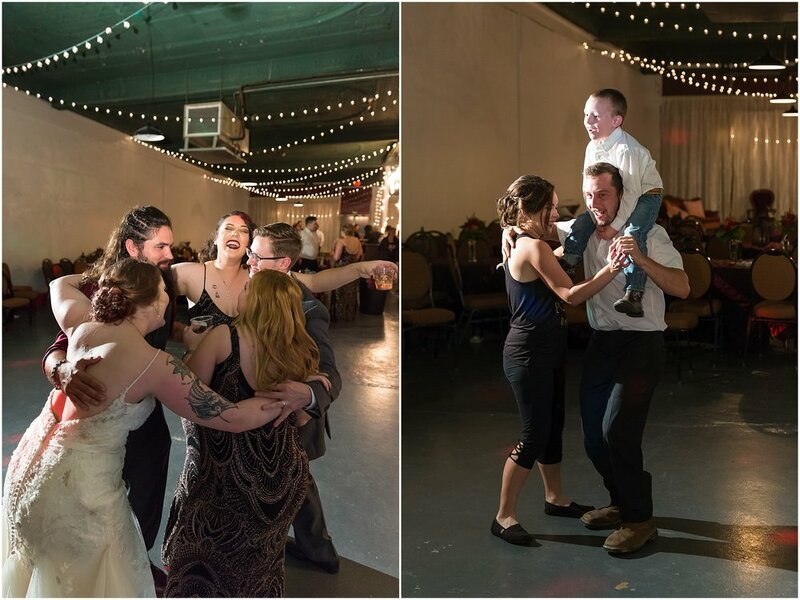 How these Sweethearts were surrounded not only by family, but by friends who are like family, all coming together to celebrate their love. 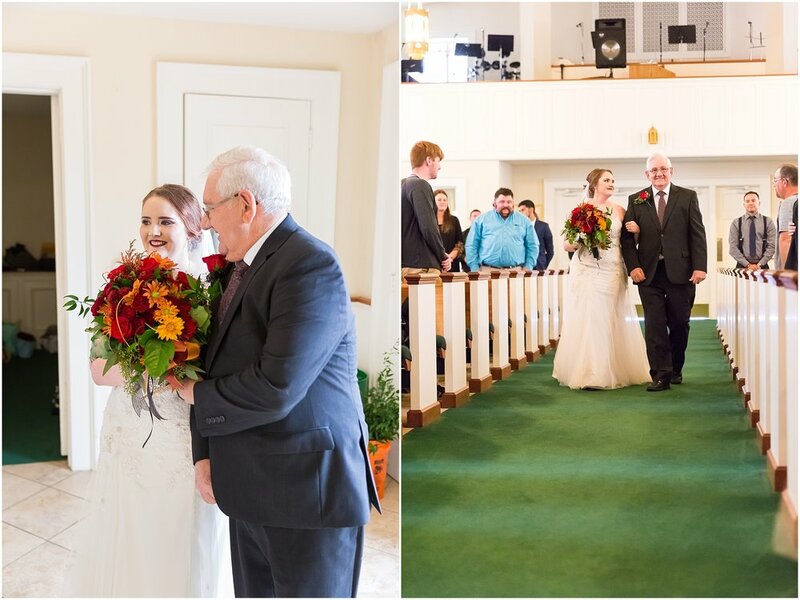 How Kelli’s grandpa walked her down the aisle so proud. How Garrett’s face looked when the doors opened and he saw Kelli for the first time. 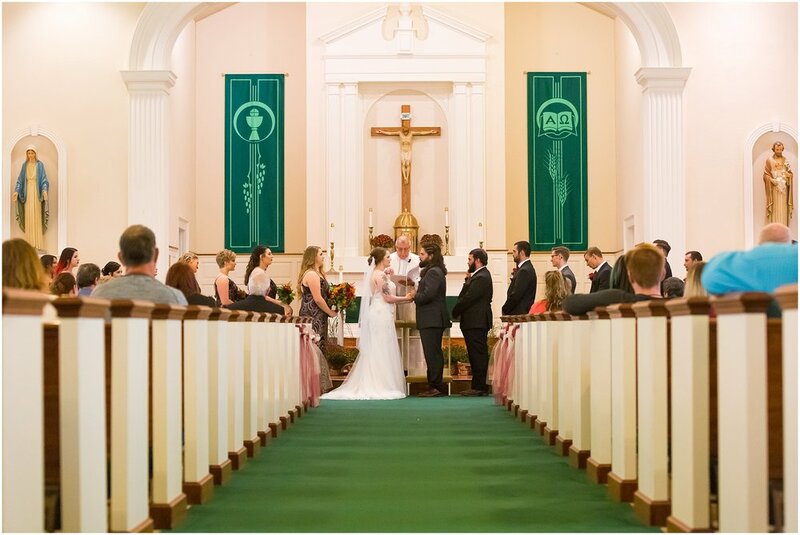 How during the priest’s homily, Garrett & Kelli would steal glances and smile at one another. How at the reception Kelli surprised her brother by choosing “Ring of Fire” by Johnny Cash for their dance, and then the two of them danced together like they did when they were little kids. 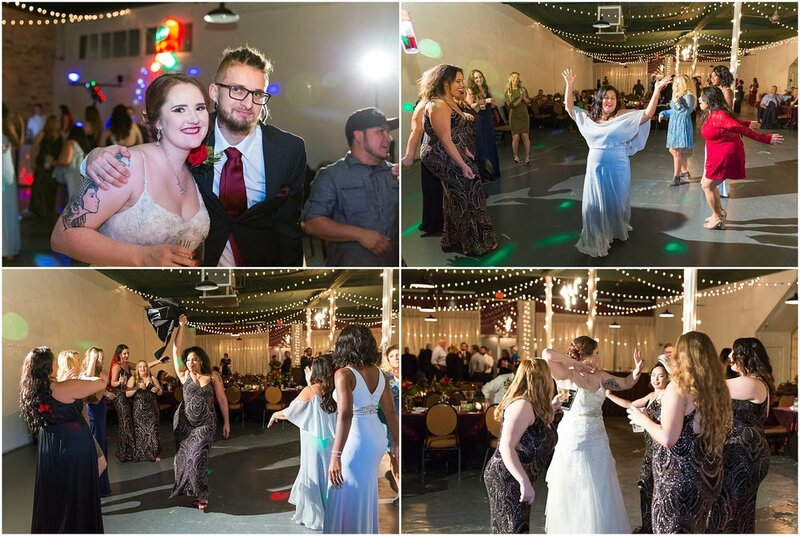 And how Garrett & Kelli were surrounded by all their favorite people and danced the evening away. 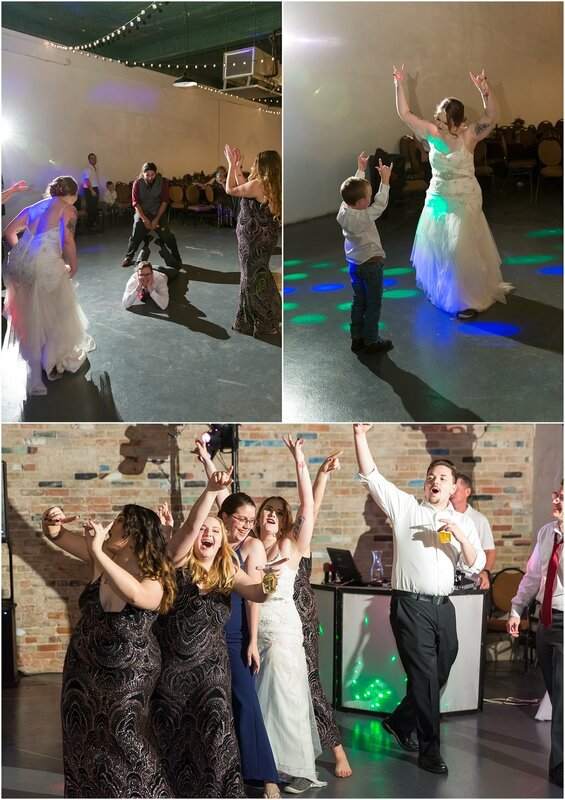 It’s these moments we hope Garrett & Kelli remember as they think back over their wedding day! Congratulations once again on your beautiful relationship and marriage! We hope you’ve stored away in your memories all the sweet moments from the day. And that these images will help jog those memories for the decades to come!